I thought Ambien would help me sleep. Instead I urinated all over my computer. I spoke with pirates. I rode my mattress like a flying carpet having an air race with my imaginary friends. Those are just a few of the things the sleep deprived have reported while on the popular sleep medication Ambien. 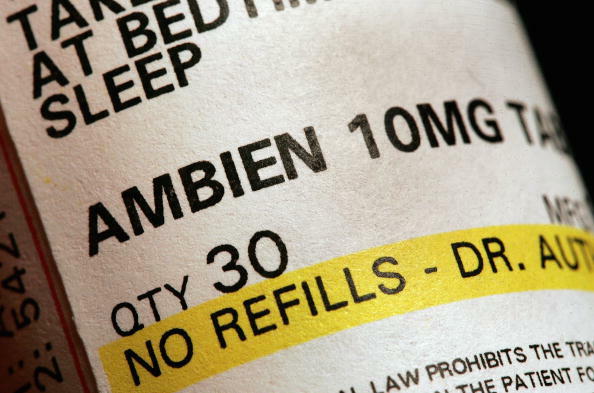 In fact there are so many bizarre stories about Ambien use it is one of Reddit’s most popular online discussion boards. Fortunately I sleep pretty well and I haven’t had to resort to strange drugs to help me sleep. I’ve been hearing stories about Ambien for years and it’s for this reason that Elon Musk’s latest tweet caught my attention. Why do I care that Elon is mixing Ambien and alcohol? Well for starters I don’t want him to urinate all over his computer and accidentally launch a SpaceX rocket into downtown L.A. More importantly I like him as an entrepreneur and visionary that’s creating a much needed greener future for us all. Elon and I are not personal friends but if he were we’d be having a serious talk because I’m worried about him. I think that what’s keeping Elon up at night is the pressure to make ever larger announcements to justify the share price of TESLA. His vision will hopefully have us zipping around in anti-gravity self driving vehicles soon but he can’t defy financial gravity. I think the Ambien is distorting his views of reality. I could give a long list of data that shows that TESLA is wildly overvalued but you already are likely familiar with most of them because Tesla is widely discussed in the news and is one of the most shorted stocks ever. If you’re not familiar then I direct your attention to the two articles below as well as this link to a presentation by hedge fund manager Mark Spiegel. Even trying to buy put options on the stock are ridiculously priced with implied volatility running about 40% for at the money options. If you’re not familiar with option pricing it means that if you wanted to take a $1,000,000 short position against Tesla by purchasing put options it would cost you $400,000 for the privilege. Not very compelling!! So here’s how our firm does things differently. We look for the collateral damage from a drop in Tesla stock price. The largest bank shareholder of Tesla is probably not a bank you would suspect. It’s Bank of Montreal. Bank of Montreal (BMO) has a position in Tesla 400% higher than the next bank which is Japan’s Mitsubishi UFJ. In fairness many of the shares BMO holds may be on behalf of their customers, nonetheless, it’s a lot. We have been bearish on Canadian banks for 4 years waiting for the right time and the right one to short. Why are we bearish? Because Canada is about to have a huge bubble burst in their real estate sector. 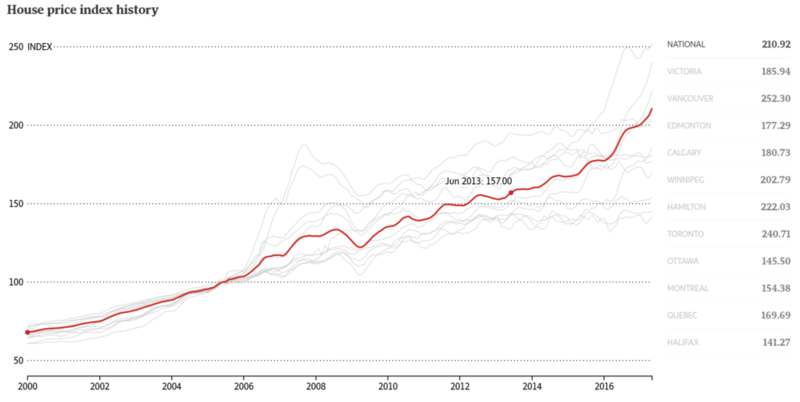 Hot money from China and sloppy lending standards have sent prices to the moon. For example the average price of Canadian real estate has gone up 34.4% from June 2013-June 2017. It’s also important to note that Canadian banks currently have some of the worst leverage ratios in the world. BMO’s common equity to total assets ratio is currently 5.6%. Contrast that with JP Morgan whose ratio is 9%. Two years ago a few clients asked us what we thought would be the next black swan event in global markets. Many thought China or the Middle East, however neither of those would be black swans because there are enough people watching those regions. Our prediction was Canada and now we believe the dynamics are starting to play out. Just recently Home Capital Group (HCG), a large Canadian mortgage lender, plunged by over 80% due to concerns about their subprime loans. This should be giving everyone reading this déjà vu. There are two ways to take a short position in Bank of Montreal (BMO). Option 1 – Just short the shares of Bank of Montreal (BMO). The shares are traded on the NYSE so they are available to everyone. They also have a ridiculously cheap borrow rate from brokers – ours is currently charging only 0.25%. Option 2 – Much more exotic and for our larger portfolio clients we are creating a synthetic short. Our concern is that if the position really starts moving in our favor Canadian regulators will do like most others have done – they will put a ban on short selling. We’ve had this happen to us enough to know what it feels like to be in a winning position only to have “free market” politicians interfere. A synthetic short is constructed specifically to get around this. How you might ask? Canada, like most major markets has a futures contract based on a market index. This is similar to the U.S. S&P 500 index. When you sell a futures contract you are effectively “short” a market, i.e. you will profit if prices drop and lose money if they rise. Shorting stocks and futures contracts are completely different though. Shorting stocks requires that you borrow the shares from your broker which will include a fee to borrow the shares plus the risk that the broker can unilaterally call them back or that a regulator can put a short selling ban in place. Futures contracts are much more elegant. When you sell a futures contract you are simply the counterparty to someone else that is long the same contract thus there is no borrowing cost and the position cannot be called away from you. So let’s take this a step further. Canada has the TSX 60 Index which covers Canada’s 60 largest public companies. There is an active futures contract based on this index. Bank of Montreal is 1 of the 60 stocks that make up the index. To synthetically short Bank of Montreal we will buy a basket of 59 of the stocks (all of them except Bank of Montreal) that make up the index and sell 1 futures contract. The math is simple we are long +59 and short -60 which means we are net short -1. By doing this it we have created a position that is identical to owning a short futures position only on Bank of Montreal. The added benefits to a synthetic short position on Bank of Montreal (BMO) is better protection against government and broker interference, better use of capital and ability to more efficiently apply leverage if desired. As a final image we present a chart comparing Tesla’s share price to BMO’s. It is safer to short a stock that is already weakening than to short a stock that remains wildly popular despite its underlying financial realities. This is a sophisticated trade and nothing written here is a recommendation. The goal is to share examples of our thought process and how we manage risk to pursue rewards. It is only through our intense focus on managing risk that we are able to sleep well at night without the need for Ambien.